Tags: Argentina, Maria Lampropulos, PokerStars Caribbean Adventure. Posted on Monday, January 15, 2018 by "T". There were a total of 582 players who joined in on the 2018 PokerStars Caribbean Adventure $10,300 Main Event, and after a grueling six consecutive days of action, only one was left standing, and that was none other than Maria Constanza Lampropulos, who nabbed the prestigious title for a whopping $1,081,100 plus a coveted $30,000 Platinum Pass! The Platinum Pass is meant to be for next year's PokerStars Players Championship, to be held in the Bahamas at the Atlantis Resort, Paradise Island. 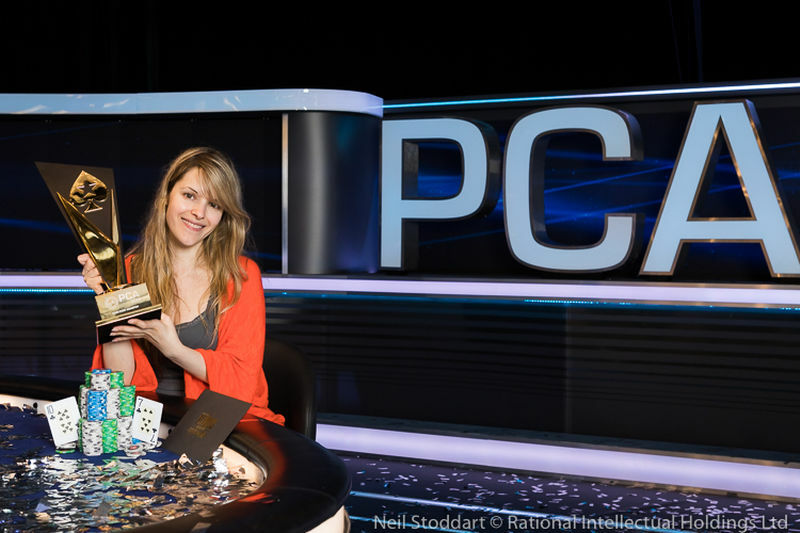 This achievement is actually the second seven-figure score for the Argentinian native, who, with this win, has made her the first woman ever to win the PCA Main Event in its 13-year history. It was just in April 2017 that she outlasted a field of 1,204 players to win the partypoker Millions Live, and her first million-dollar win in that event was $1,255,004. Lampropulos said after her victory, "I am very proud. Every woman here--dealers, floors--every woman is very happy for me, and I'm grateful for that. I am very, very happy. I'm so excited. This is incredible. I know that this is hard to believe for everybody. It's my second huge main event, and I'm very thankful." It was surely a remarkable run for the 36-year-old female poker player, as she finished 55/341 in chips on Day 1, and then got the top 18 spot on Day 2. 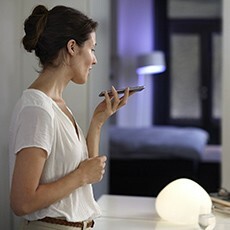 In the subsequent three days leading up to the finale, she finished 6th, 2nd and 3rd in chip count. The PCA Final Table consisted of elite poker players including Daniel Coupal, Koray Aldemir, Adrian Mateos, Christian Rudolph, and Shawn Buchanan - all of them Maria Lampropulos bested to win the million-dollar prize money and the title. This win has brought her lifetime poker earnings, to which she only just started playing at prestigious live tourneys back in 2014, up to a total of $2,794,574, and it immediately moved her name into the second spot on Argentina's all-time money list, just behind Ivan Luca (who happens to be her longtime boyfriend). Good thing to know about Lampropulos is that back in 2016, she and Luca played heads-up in a field of 682 players in the Eureka Poker Tour Season 6 King's Casino Event #8: €1,100 NLHE. The two put up a good show, and in the end it was Luca who got the title for $115, 649, whereas Lampropulos settled as runner-up, getting $103,907 for her efforts. $10,000,000 Guaranteed Main Event at 2014 PCA! 17 comments for "PokerStars 2018 PCA Main Event won by Maria Lampropulos for Over $1 Million"
Unbelievalable i watched the streaming of the final table when they remained 3 poeple she was the outsider BUchanan was the leaderchip with 11.6m and Lampropulos with 2.7m and the german Aldemir was 2.7m after a good batle it moved to 6.7m buchanan and 2.7m Lampopulos and 5.6m Aldemir. How does she ended at the Top. Nice Woman beating all men on the PCA. Wow, what a great achievement for her. I didn't look for her poker history, but is there any possibility that she started playing poker because of her longtime boyfriend, the leader of the all-time money Argentinian list? I'm sure poker was always present on their lives, and she did very well in starting to bet on this activity. Congratulations to Maria Constanza Lampropulos on winning the 2018 PCA Main Event. This tournament is one of the biggest live tourneys held, and it's a great achievement of which almost every poker player dreaming of. It seems that she is now the best woman in Poker after her 2 huge wins during the last year. wow what a main prize for best player and its women!its great to see that somebody like her won such a great tournament on such a great place!probably she will continue to play live poker and we will read about some new winning from her! Gigantic congratulations go out to Argentinian professional poker player Maria Constanza Lampropulos on being crowned champion of the 2018 PokerStars Caribbean Adventure ME. I look forward to watching the replay on YouTube. I couldn't believe when i woke up this morning and saw her name as the champion. I'm very surprised no one said anything about her constant coughing and touching all the cards after basically spitting all over her hands every hand. That was one of the grossest displays i had to watch for hours. Good on Maria for winning but i would've let her win just not to listen or watch he any longer. But hey she's a millionaire now in a much better spot than myself. I think this poker player Maria Constanza Lampropulos he learned a lot about poker before playing in these live tournaments. It is the second huge main event for this women and is very beautiful. This proves that it is very good to learn and then win a lot of money. Congratulations for this player Maria. I guess that in the near future we might see that she wears a pokerstars bagde on her , as we know that a lot of female pokerstars pros have left the building ... Anyway congratz and let's hope that it's not the last tourney she takes down ! what a nice price to win ...it would be soooo cool to win such a huge amount only for playing poker..
LIKEIT27, was this yours win in the online or live tournament? For me, I have never played live tournaments except some penny home games. It would be nice to play in a live tournament in a big casino someday. Even If I would not win, I'm sure that it must be a great feeling just to take part at it . I've just watched the replays of the final table and I suspect if Maria has been suffering from a chronic respiratory disease. It was the spring of last year when I first noticed her relentlessly coughing and her symptoms don't seem to have faded. And if I were her friend I would tell her to cough into her upper sleeve, not her hands. I must admit that I didnt heard for her before this,maybe its my mistake,maybe she didnt play so much,I dont know!but for first time I see things that all of you write about her and how she did act on table and every other thing!next time they maybe should warn her and protect other players! Born there in argentina, moved there? who knows, not much info for her online. Nice price for 10k invested in the game. Many congratulations to these anonymous poker players who become known winning major poker tournaments. I would like to see many unknown players as they make money in this poker shark world. These poker rooms need to make more satellite tournaments for major live tournaments.